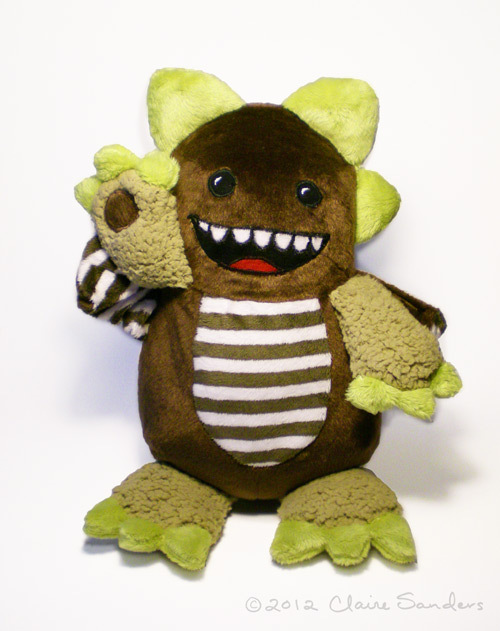 A couple weeks ago, Val commissioned me to make a Georgie Monster for her son Sam's 2nd birthday. 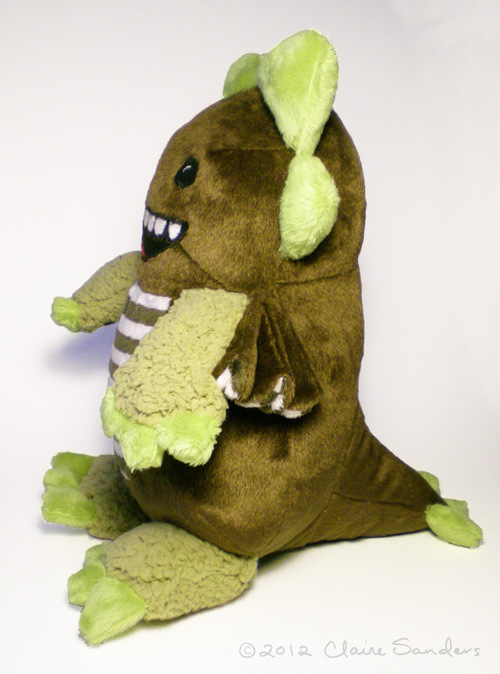 Val picked out a great color combination of brown and tan plush with bright green details to create a unique gift for Sam. 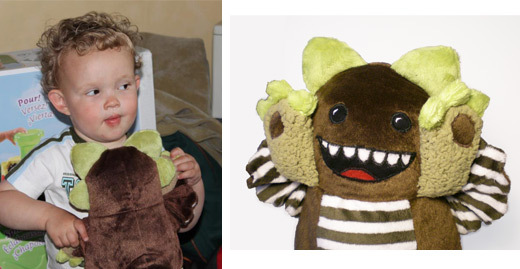 Sam looks a little shifty eyed here, but he does love his new monster. Really great monster, he's so cute ! Horned Lizard Patterns for Sale!